You have many options at Evergreen Massage Therapy. From deep-tissue massage, Ashiatsu, and hot-stone therapy that work to resolve muscle tension, to the healing arts of reflexology, bio-energetic synch technique, and craniosacral therapy—you can choose the best approach for your own situation and needs. Orthopedic massage involves therapeutic assessment, manipulation, and movement of soft tissue to reduce or eliminate pain and dysfunction. This unique approach is utilized to treat painful conditions in the soft tissues and restore structural balance throughout the body. Massage therapy during pregnancy can bring relief to women who suffer common side effects such as backaches, headaches, edema, or other pregnancy-related issues. Our therapists have specific knowledge to alleviate pain and aid in relaxation while understanding all the stages of your pregnancy to keep both mother and baby safe and comfortable during your massage. Following the trauma of an injury or surgery, lymphatic drainage is a wonderful technique to help decrease swelling and inflammation. It has an extremely calming and soothing effect on the nerves when done properly. Not many therapists are certified in this treatment, so be sure to choose someone qualified, such as the therapists at Evergreen Massage Therapy, considered by many to be the best in the area. Massage inside the mouth benefits those who have TMJ dysfunction and who suffer from excess jaw tension. It’s also wonderful for those who experience tension headaches. Chi Nei Tsang is a non-invasive method of abdominal massage that detoxifies the body, releases emotional charges, and relieves chronic muscle patterns. It’s designed to precipitate change by bringing awareness to the internal organs of the body, freeing the organs’ energy, and bringing emotional release, thus inducing the body to heal. It’s highly effective with digestive intestinal disorders, infertility, women’s issues, and more. Many clients find this system helps them maintain and improve their health, no matter their age, background, or physical condition. Relaxation (Swedish) Massage: 60 minutes, $80; 90 minutes, $110. 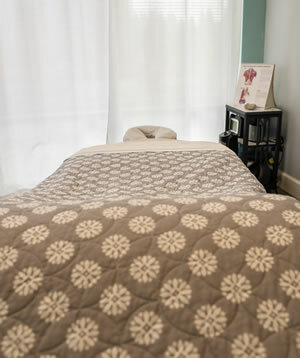 Deep Tissue Massage: 60 minutes, $95; 90 minutes, $125. Special Package Pricing: Purchase four sessions and get the fifth session free. You receive five hours for $320; a value of only $64 per hour. Contact us today to schedule one of our massage services or take advantage of a free consultation.